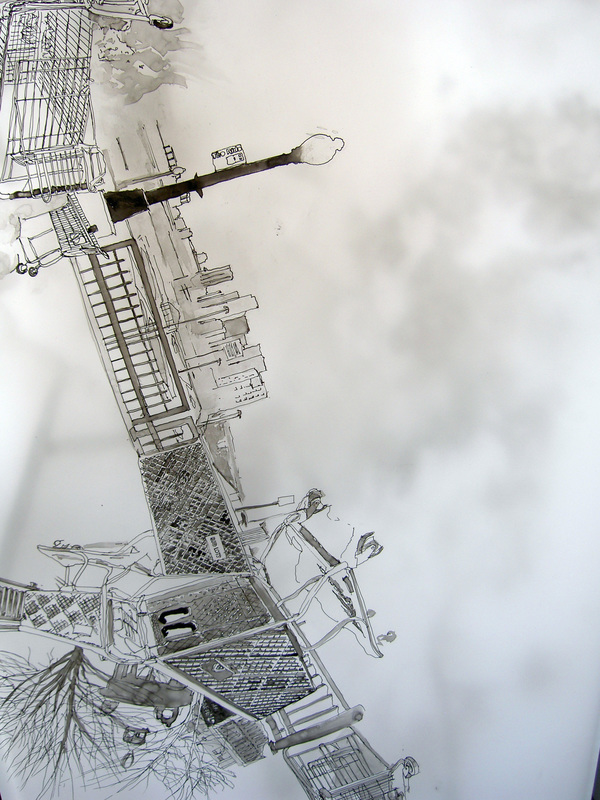 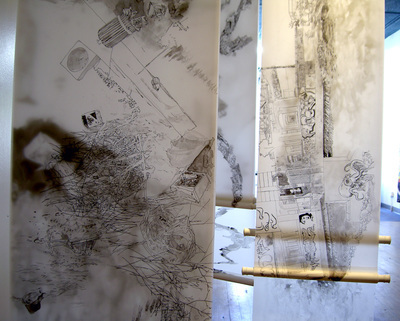 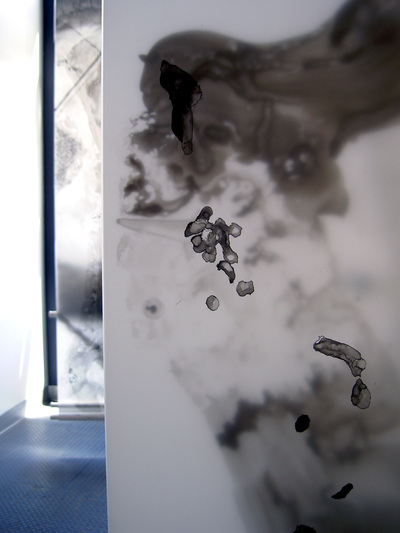 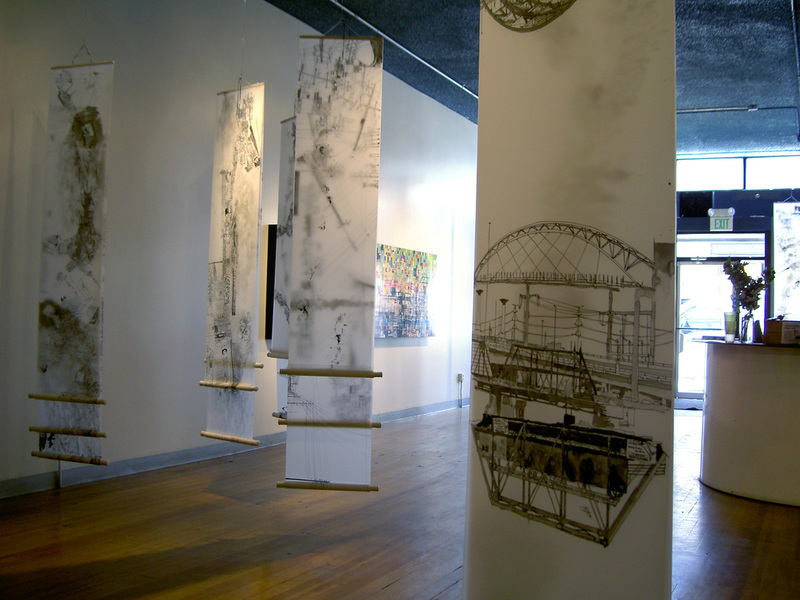 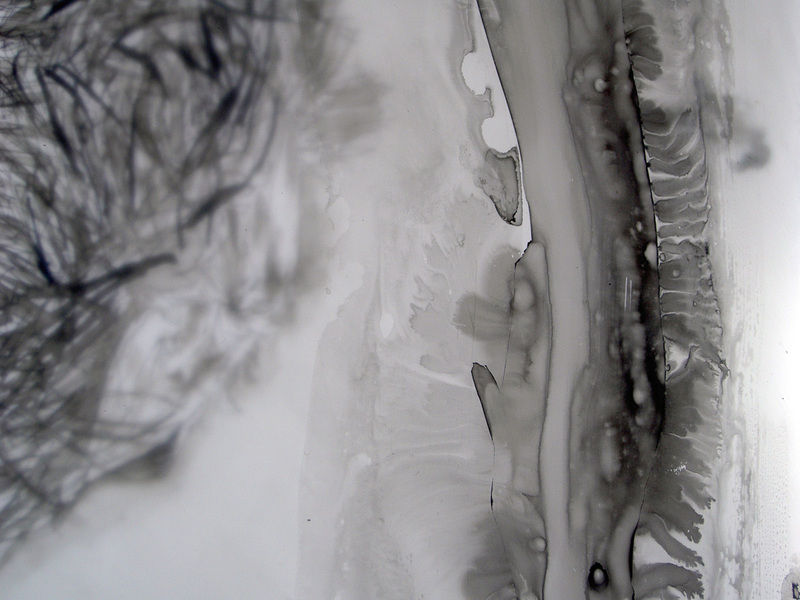 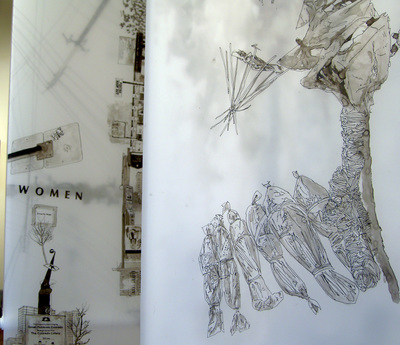 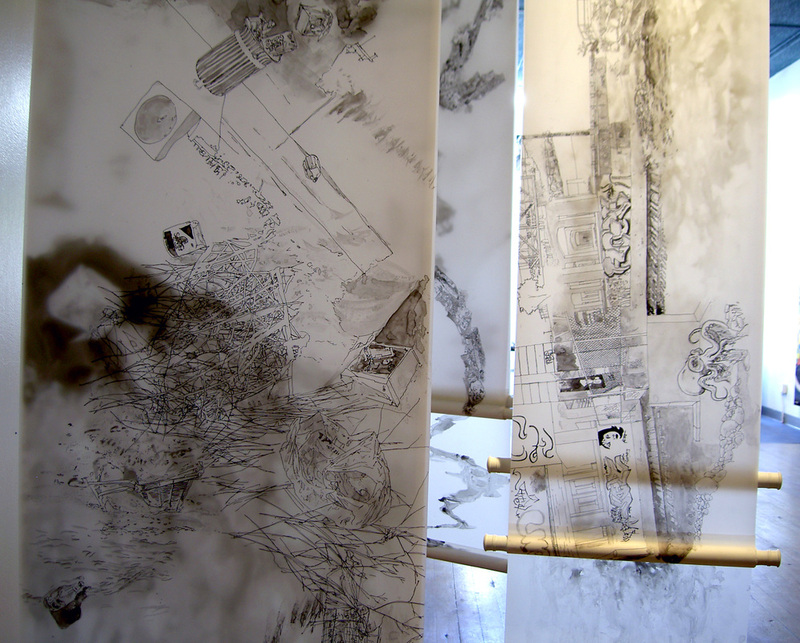 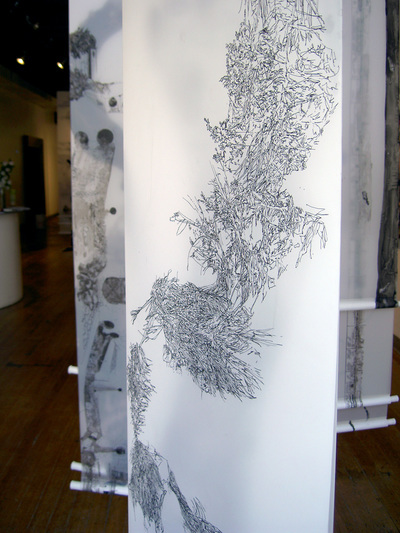 An installation of 12 hanging mylar scrolls with ink drawings and a video projection which use imagery from photographs and video taken in the area around the confluence of the Platte River and Cherry Creek in Denver. 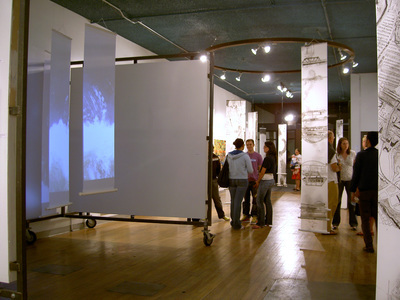 Space Gallery, Denver CO, 2007. See geo-tagged photo sources here.